One last thing. The prevalent form of contemporary Naturalism today is materialism. This is the belief that some (unspecified) exclusively physical realities are the self-existent (divine) realities. The two most popular versions of materialism are: 1) all that exists are purely physical things governed only by physical laws, and 2) purely physical things and laws produce all that is non-physical. Many of those who hold to these materialist views of reality try to justify them by claiming they are necessary to science or are somehow endorsed by science. For example, George Johnson composed a review of two books by theists who are distinguished scientists. In the review, he dismissed their point that they saw no conflict between their science and their Christianity. Johnson writes, “But theism and materialism don’t stand on equal footings. The assumption of materialism is fundamental to science.” (Scientific American, Oct. 2006, p. 95). That claim should at least look mighty suspicious even to those who wish it were true! For in fact every major figure in the rise of modern science was a theist. But that aside, what the claim asserts is literally nonsense. The reason is, that no one can so much as frame the idea of anything as purely physical. When we take “physical” to refer to that which is subject to physical laws, then our inability to provide any idea of “purely physical” can be confirmed. We accomplish this by the simple thought experiment of trying to conceive of anything as purely physical. 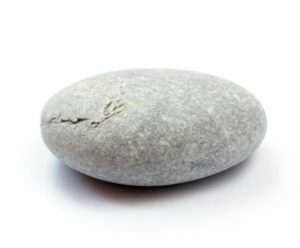 Take as a first example, your concept of a stone. Now strip from that concept every quantitative property since these are not physical (numbers are not subject to physical laws). That will mean there is no “how much” to the stone so that it cannot be counted or measured. Now likewise strip away every spatial property so that it has no size or shape or location (spatial shapes and locations are also not governed by physical laws). Next in our little experiment, remove any content of the concept that is in any way biotic so that the stone will not have any of these features. For example, the stone cannot be dangerous to life or able to be part of a bird’s digestive processes. Then divest it of any sensory property so that it is in principle unable to be perceived (this will mean, among other things, that no observations could possibly confirm any theory about it). Next subtract from your concept the stone’s logical property of being able to be distinguished from other things, and finally take from it the linguistic potentiality of being able to be referred to in language. Now tell me what you have left. Have you any idea whatever? Granted, some of the properties I’ve just mentioned are true of the stone only passively; the stone doesn’t actively possess sensory, logical, or linguistic properties. But unless it had the passive potentialities to be perceived, to be distinguished, and to be referred to, none of those actions could be performed on it by us. Each one of those potentialities requires that it be subject to other-than-physical laws: laws of perception or logic or linguistic rule. Moreover, this result accrues when this experiment is applied to concrete objects. The result is equally valid when it is applied to abstract properties that are physical. To see why this is so, you need only repeat the experiment using an abstract property as our test case. Let’s use the property of (physical) weight. What is weight which has no amount or is nowhere. Is weight unable to be perceived? Could weight be distinguished from any other property? Can weight not be referred to in language? This experiment destroys materialism as a plausible theory and exposes it as a divinity belief which is as unprovable as is belief in God. It’s unprovable because there is no recovery from the point that materialists cannot so much as frame the idea of what they claim to be true, and what cannot be conceived of cannot be proven. The real ground of the materialist belief, then, is the person’s experience of having it appear self-evidently true to each person individually, not that it is necessary to science. 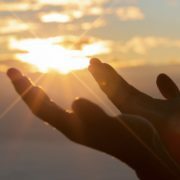 Our thought experiment shows materialism to be a divinity belief with the special difficulty that nothing can so much as be conceived as purely physical. As such, materialism is a belief in worse shape than the assertion that there are square circles. When we speak of a “square circle” we at least have an idea of what we’re talking about. That’s how we know the expression names an impossible entity. But when we say the words “purely physical” we have no idea whatever of anything it could name. The thought experiment shows that the expression “purely physical” is literally meaningless. The thought experiment exposes the fact that as materialists do science, the term “physical” means that what they focus on are the physical properties of entities that all the while plainly exhibit other kinds of properties as well. And when they discuss materialism they shift the meaning of the term to designate their fictional “purely physical” entities. Thus, although they hold the view that the purely physical entities are the ultimate (divine) realities, they work in physics with theories and experiments that never deal with anything as exclusively physical. Moreover, this is not just a slip-up on their part that could be overcome if only they were more attentive. Rather, as we’ve just seen, it’s because they can’t so much as frame the idea of anything as exclusively physical. there seems to be but one source for its origin. [i] This argument and a non-reductionist theory of reality are both developed in my book, The Myth of Religious Neutrality (Notre Dame: University of Notre Dame Press, 2005). [ii] Science and the Modern World, (NY: Free Press, 1967), 92. [iii]“The Origins of Modern Science” in Science and the Modern World. Ibid., 12. Belief in God: Does Science Make This Obsolete?